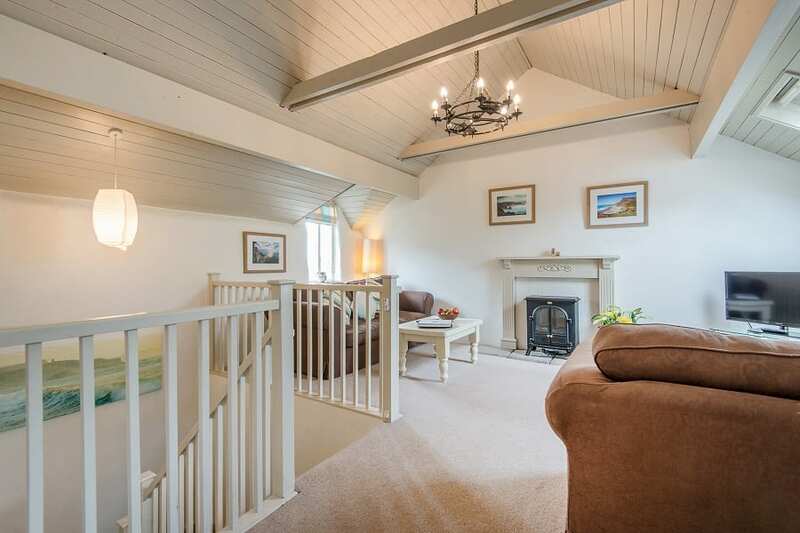 Grebe cottage has been converted from one of the old cob walled barns of the estate. 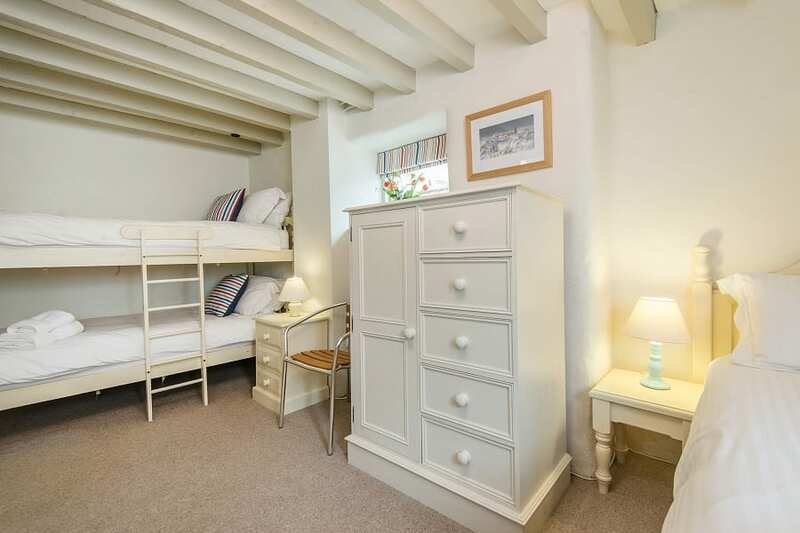 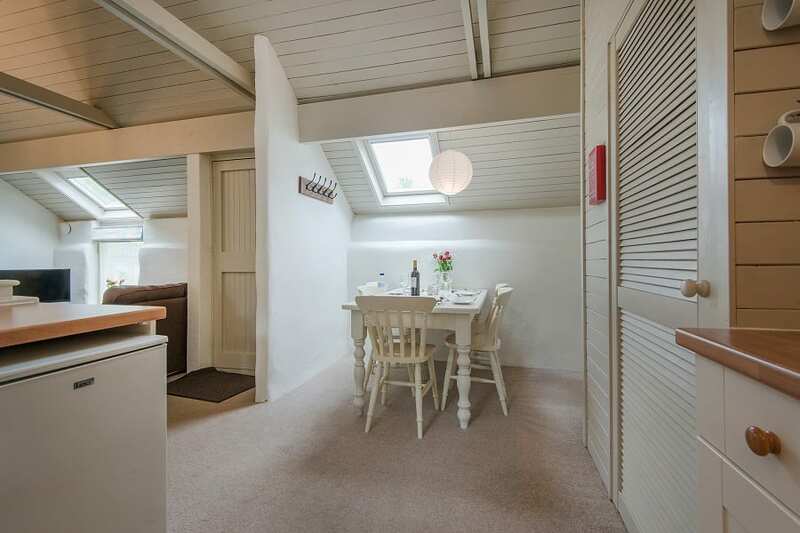 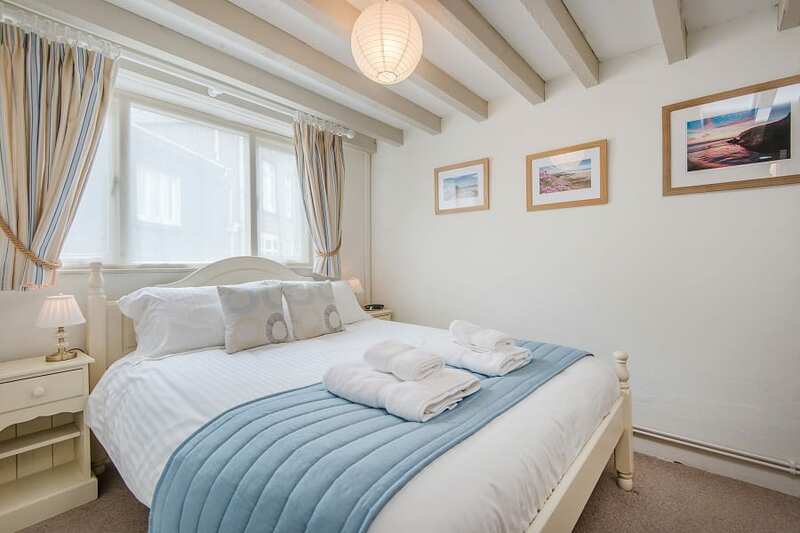 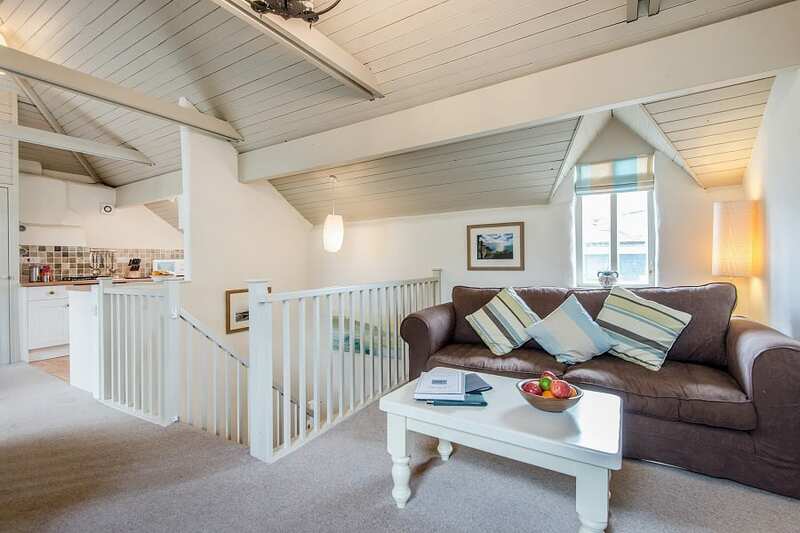 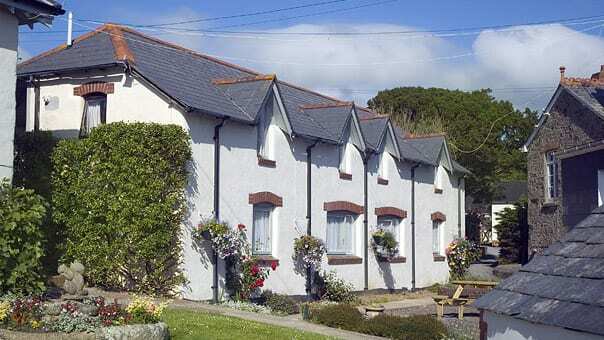 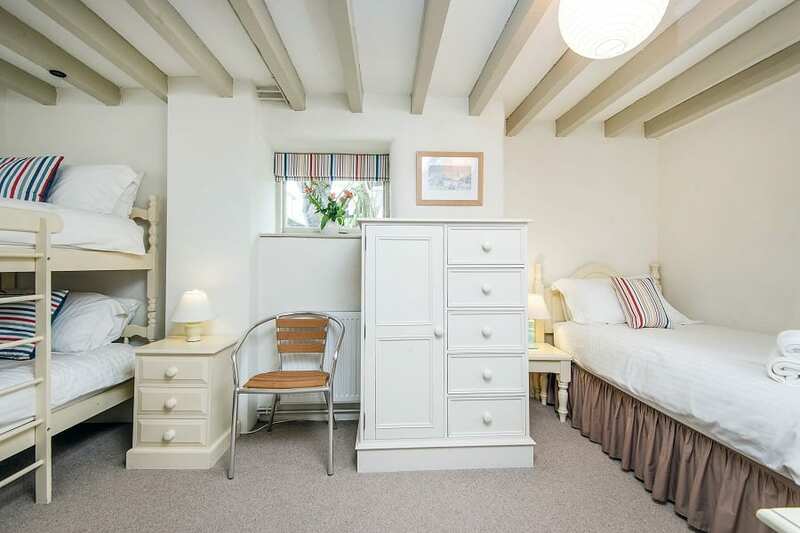 The cottage has open plan living accommodation and two bedrooms each with ensuite facilities. 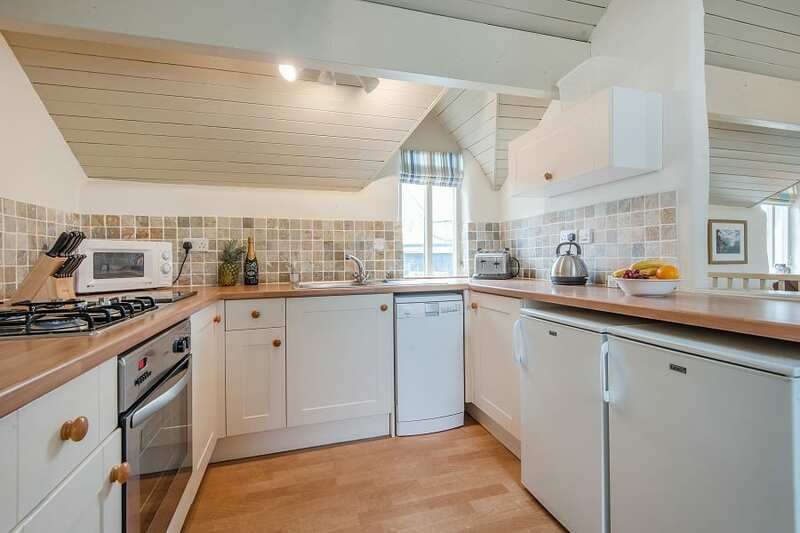 Grebe has been completely refurbished and is fully centrally heated with a beautifully designed ‘Shaker’ style kitchen with all mod cons! 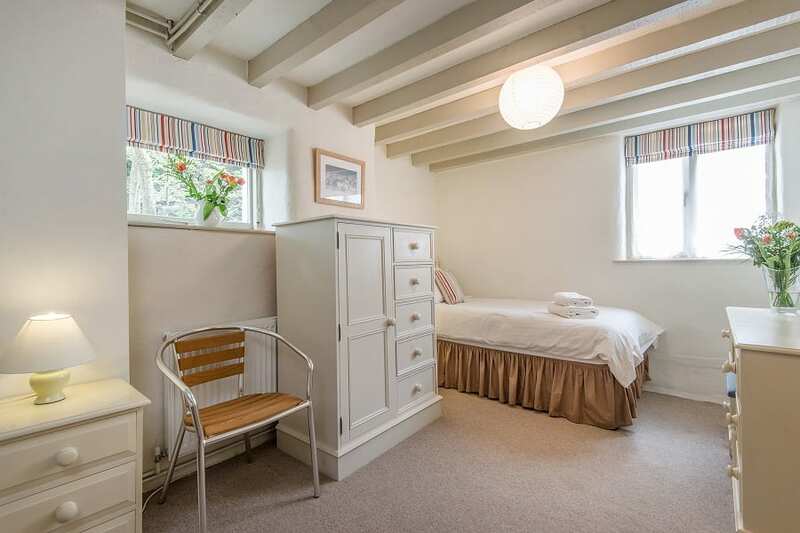 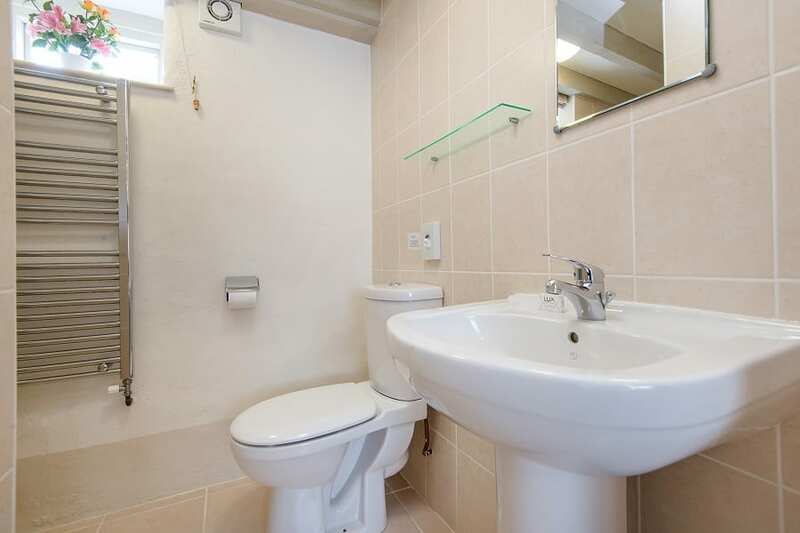 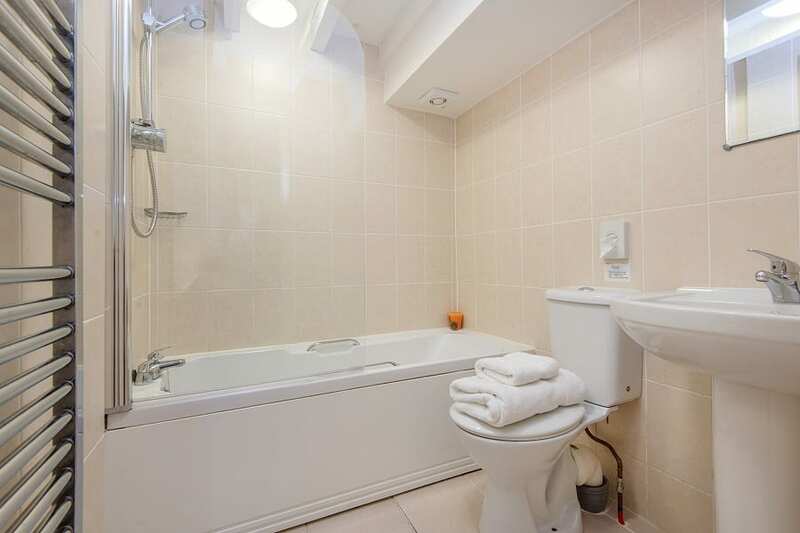 It has a large open plan lounge/dining room area and a wide staircase leading down to two bedrooms, one king size bedded room with en suite shower room and a second with a single and bunk beds with en suite bathroom. 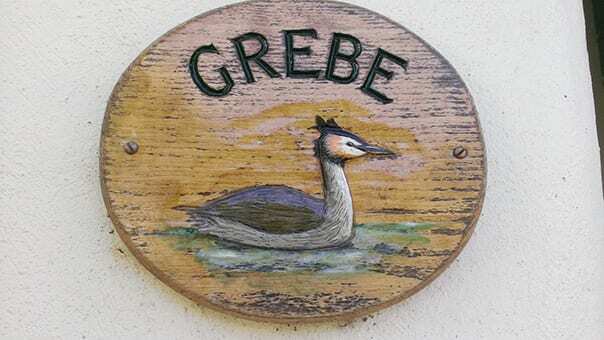 For large family parties, Grebe and its neighbour, Dunlin, make an ideal combination. 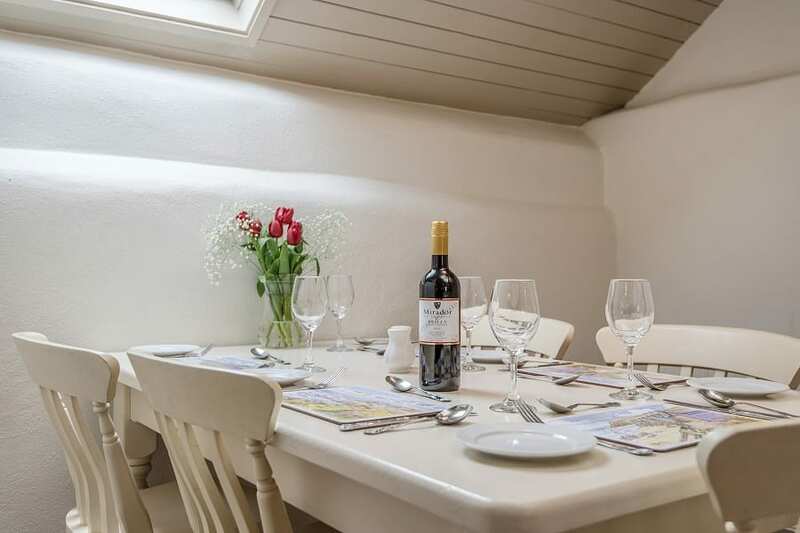 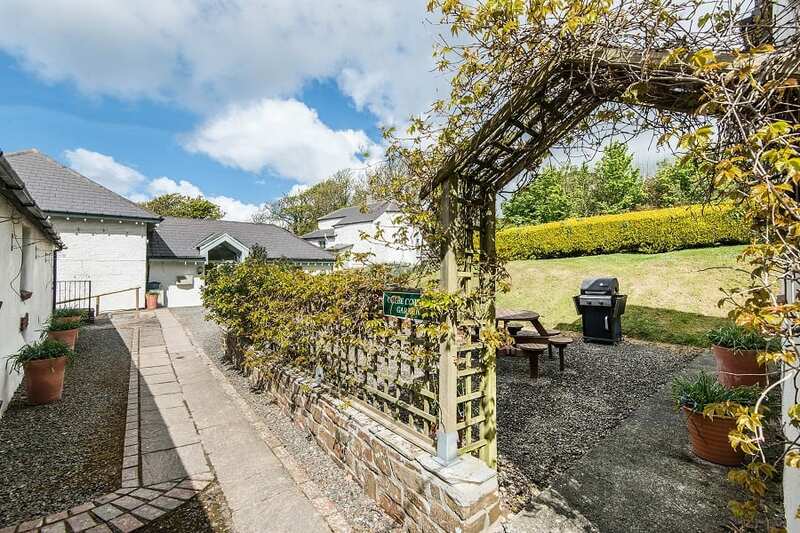 There is an enclosed courtyard area in front of the cottage with tables, vseating and BBQs – for the exclusive use of a gathering of your family and friends!